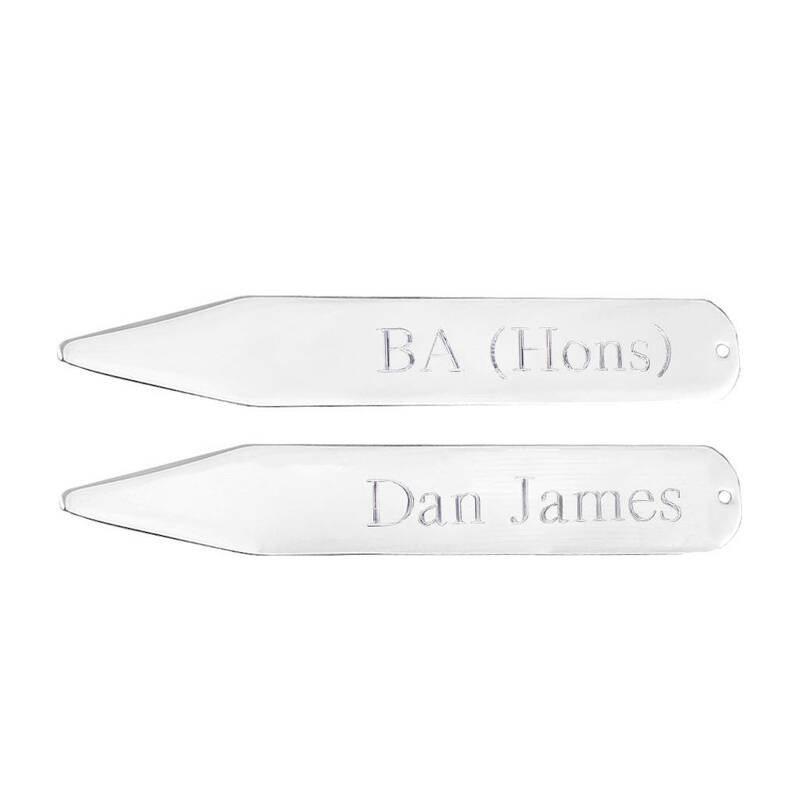 Celebrate a graduation with our classic personalised collar stiffeners, the ideal graduation gift to show off those new qualifications. 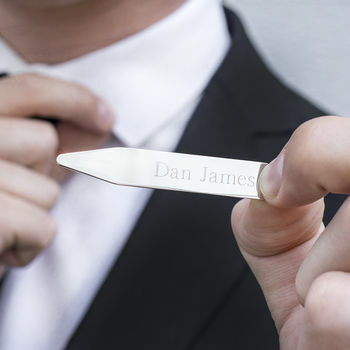 Designed and engraved by Ellie Ellie in Sussex (UK), our personalised collar stiffeners feature a classic engraving with your recipient's name on one stiffener and their post-nominal letter's on the other. 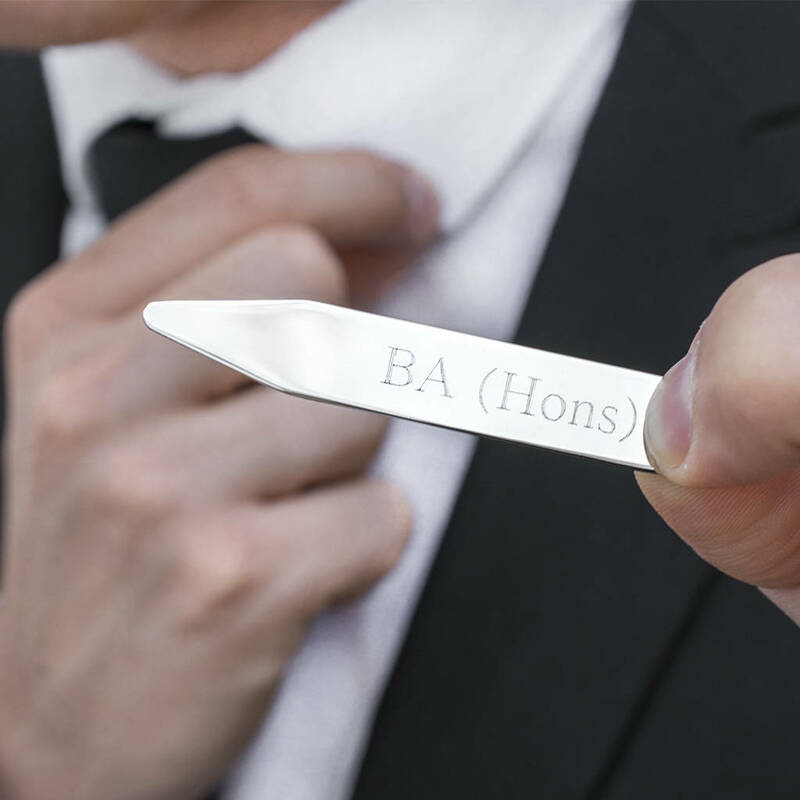 Is it a gift? 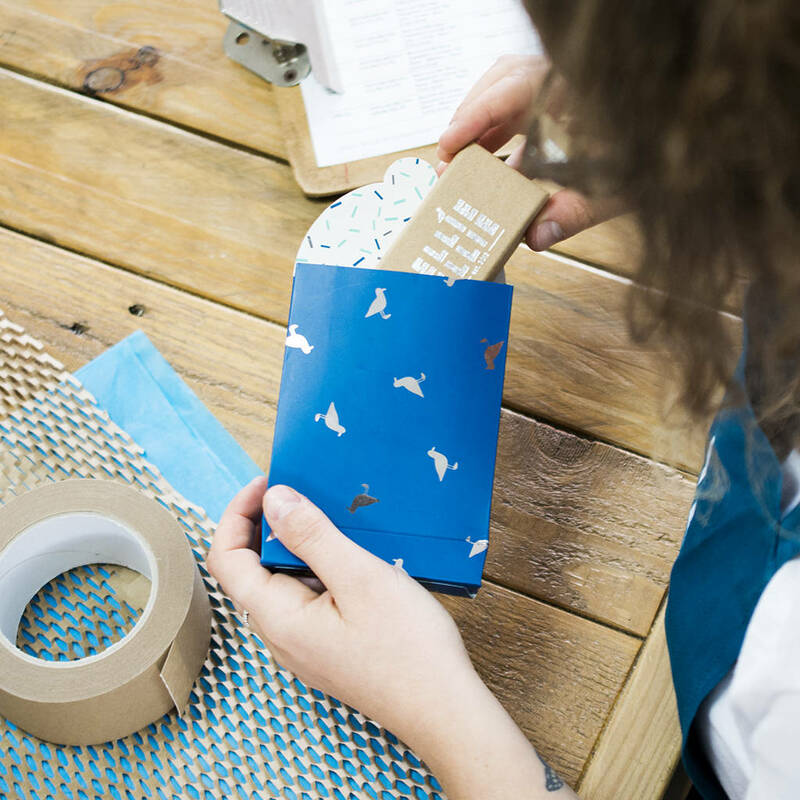 We've got the perfect finishing touch, our Ellie Ellie Navy Gift box is the ideal way to make sure your gift is extra special.Gift box comes flat packed.